On 07/04/15 at about 11:00 PM, a deputy heard what sounded like fireworks near the El Dorado Hills branch of the El Dorado County Library. Checking the area of Tilden Drive and Avellano Drive the fireworks sounded like they were coming from a residential backyard. With the assistance of witnesses and Serrano Security, the deputy located several persons lighting and shooting off illegal fireworks from the back of a house in the 3800 block of Tilden Drive. At the bottom of the driveway near the house, the deputy and security officer were confronted by 29 year-old Evan Lyons of Orangevale. Lyons was instantly confrontational, appeared angry, and was quite intoxicated. Attempting to investigate the use and possession of the illegal fireworks and the immediate fire hazard, the deputy asked Lyons a few questions. Lyons was uncooperative, became increasingly agitated and was verbally assaultive. Persons from inside the house started to emerge and two dogs were released. 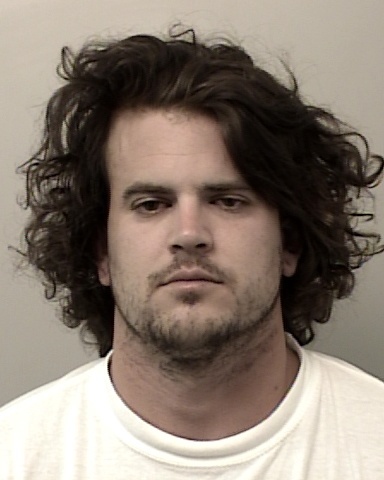 When an additional deputy arrived, Lyons was taken into custody for public intoxication. During the arrest and placement into the patrol car, Lyons was resistive. Once in the car, Lyons spit through the cage into the driver’s compartment possibly damaging the computer and other electrical equipment. On the way to the jail, Lyons continuously yelled using profanity and making racial slurs. He also threatened the deputy individually, wanting all cops to die. Lyons spit on the deputy. He even threatened to find the deputy’s family and described how he’d do them harm. Lyons was booked at the El Dorado County Jail on charges of public intoxication, resisting arrest, and battery on a peace officer. A complaint regarding criminal threats was submitted to the DA’s Office for review. Lyons was later released on $79,000 bail.